It is smart to keep your tax returns indefinitely. Old returns can provide important background information in a variety of situations – for example, if you’re applying for a mortgage, applying for disability insurance or trying to figure out your cost basis of investments. Also keep records of your home’s purchase price and major home improvements for three years after you sell your home. It’s a good idea to keep records of stock and mutual fund purchases made in taxable accounts for as long as you hold the investments. The records will come in handy when you sell shares and must report the purchase price, date of purchase and number of shares involved. Additionally, hang on to records of any stock or mutual fund dividends you’ve reinvested so you can avoid paying taxes on them again when you withdraw the money. As for what to weed out, the IRS generally has up to three years after the due date of your tax return to begin an audit, so you can toss most of your supporting tax documents – such as cancelled checks and receipts – as soon as the three-year period has passed. See IRS Publication 17 for more information. You can also toss monthly statements from your bank and brokerage firm after you receive your year-end statements. Get rid of ATM receipts and bank-deposit slips as soon as you match them up with your monthly statement. You can also discard your pay stubs after seeing that they agree with your W-2 for the year. 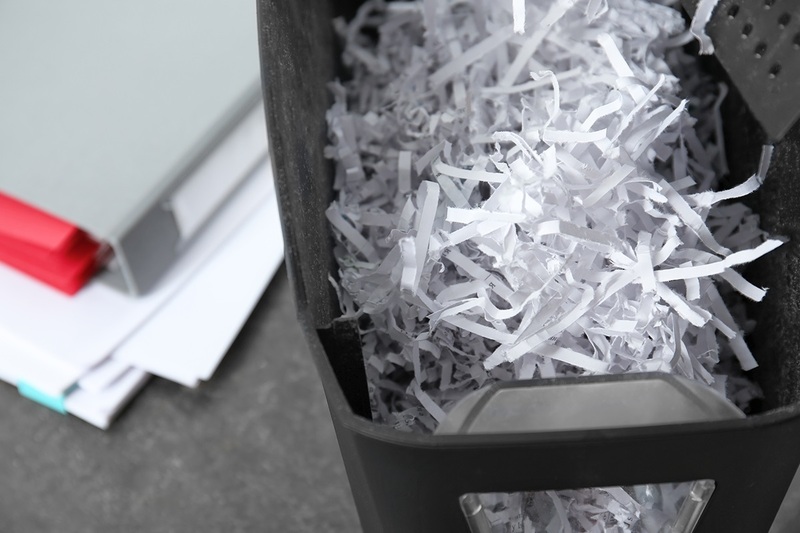 Shred these documents before tossing them to protect your identity. Do you have a financial question you want answered? Submit it to [email protected] or call us at 541-574-6464.